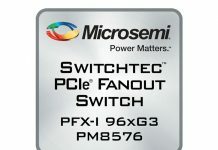 Microsemi announced a new line of PCIe switches recently. Microsemi Switchtec PFX-I Gen3 PCIe switches can handle up to 48 ports and bifurcation down to PCIe 3.0 x2 per port. These new switches can support extended industrial temperature ranges to maximize deployment scenarios. As workloads move more technology to the PCIe bus, PCIe switches are becoming more important not just in the data center, but also in other environments. What is a PCIe Switch? PCIe switches solve a basic problem. How can a computer connect more PCIe devices together with a high-speed PCIe fabric without relying upon PCIe lanes from a CPU. You can think of this in terms of problems such as connecting 24x PCIe 3.0 x4 NVMe drives, 96 lanes total, to a CPU with only 48 PCIe lanes. Another great example is connecting 10x NVIDIA GPUs (160x PCIe lanes) together so that they can talk to each other and the host over high-speed PCIe fabric. Essentially, a PCIe switch functions much like a network switch you may have on your desk, just at faster speeds, and using a different protocol. Using a PCIe switch allows all of the connected devices to talk to one another and to the host system. The realm of PCIe switches has increased in importance over the past few years. With the emergence of NVMe based storage arrays becoming mainstream, a primary application now utilizes large numbers of PCIe switches. Further, one of the hottest trends, AI / deep learning, currently uses PCIe switches in a number of GPU compute architectures to provide the interconnect between GPUs. As a result, the demand for performant, reasonably priced, and low power PCIe switches has grown. To date, the market has been dominated by the technology from PLX, acquired by Avago, now Broadcom. 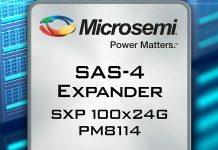 Microsemi has the task of providing the industry’s alternative to PLX products. This opportunity exists because Broadcom has raised prices and insisted on aggressive bundles with many technology companies. With Broadcom raising prices, Microsemi saw an opportunity. You can read our piece on The business side of PLX acquisition: Impediment to NVMe everywhere which outlined some of the negative impacts the PLX acquisition had on the market and why it is important for the industry to have Microsemi as an alternative supplier. 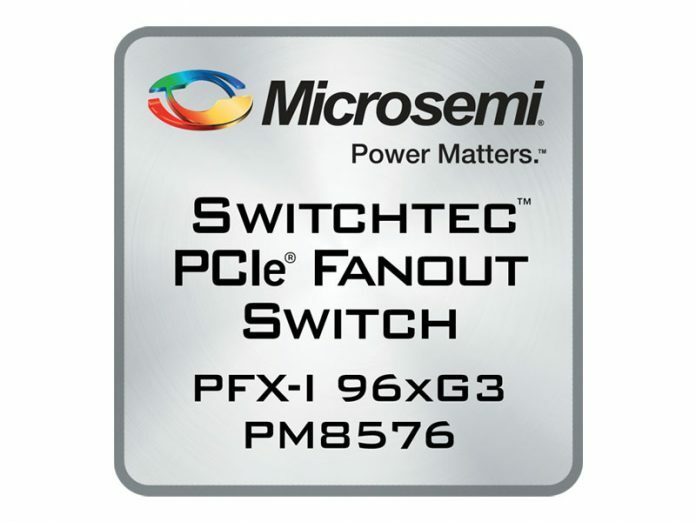 The new Microsemi Switchtec PFX-I Gen3 switches allow the company to address more of the market for PCIe switches which is good for competition. We spend a lot of time focusing on CPUs and think it is great that the CPU market has viable alternatives to Intel such as AMD EPYC, Cavium ThunderX2, and IBM POWER. The PCIe switch market needs Microsemi switches to be competitive in a wide realm of applications for the market to remain healthy.